Today is Good Friday, the day that Christians stop to remember the crucifixion of Jesus Christ. To be honest, it's easy to want to skip right past this day and get straight to the wonder and celebration of Easter morning. I've been thinking that this desire to skip the painful and go straight to the glory may be part of the story of Good Friday. 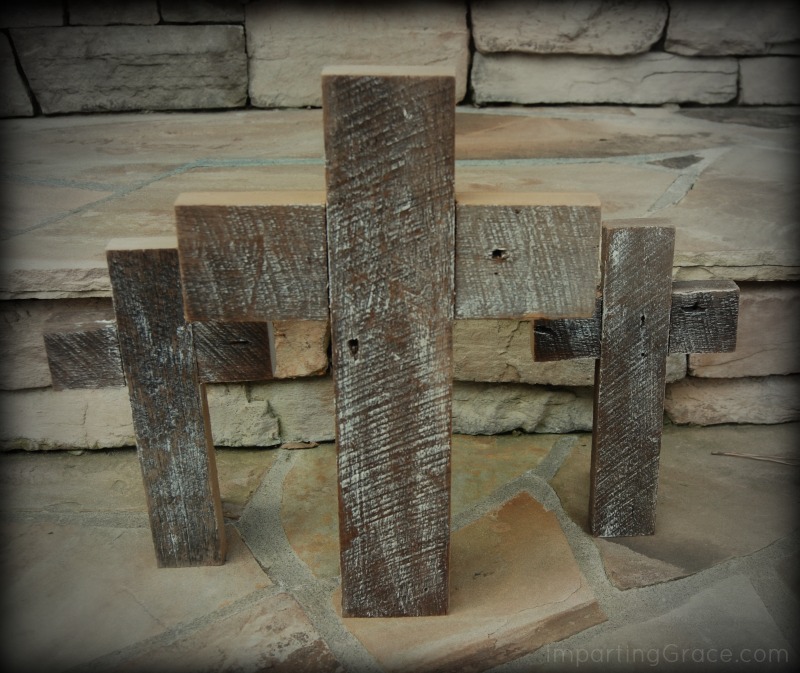 Special thanks to Gina Luker from The Shabby Creek Cottage for the beautiful crosses! When I was a little girl, I was always horrified to think of the people who wanted Jesus to die. And I felt sorry for them. After all, they had been waiting for many years for the Messiah, and finally the Messiah came! Why on earth would they not accept Him? Perhaps I've been too quick to question these folks. I tend to concentrate on how Jesus performed miracles, healed the sick, and even brought the dead back to life, and I wonder how anyone could disbelieve that He was the Messiah. But lately I've been thinking that, after all, Jesus was not exactly the kind of king I would have expected, either. Especially if I'd been living under the harsh rule of foreigners who had invaded my country and taken over the government. I probably would have been looking for someone who was much more commanding and regal, someone who exhibited traits of a strong and mighty leader, someone who displayed grand rhetorical skills. I would have been looking for a take-charge kind of guy. I'm afraid that, if I'd been looking for a deliverer, I would have sought a conquering hero, not a wise and gentle teacher. I've always pictured myself as one of the few who remained faithful to Jesus. I've seen myself as one of the women who went to the tomb on Sunday morning, you know? One of the devoted friends of Jesus. One who always believed. Good Friday looks very different to me when I stop to realize that, if I had lived 2000 years ago, I might have been part of the angry mob. Even as I write these words, my heart protests, "Surely not! Surely I would have known that He was the Son of God!" I'd like to believe that, and perhaps it is true. But if I'm honest with myself, I know that I am often attracted to the grand and glorious rather than to the simple and humble. The more I think about the life and teaching of Jesus, the more I think that what God really wants from me is a humble heart. I think of the story of Jesus's life. The Son of God being born in a stable? The Son of the Almighty becoming a baby whose first bed was a feeding trough? The Son of the Most High serving as an assistant to a carpenter in a peasant village? The Son of the Creator living the life of an itinerant teacher, without even a home of his own? The Son of the Lord of all creation allowing himself to be beaten and executed like a common criminal? Seriously?? Yes. Seriously. It's all true. And He did all that out of love and mercy for people who could, if they so chose, simply scoff at the story. But the story is more than just a tale. It's the truth. Two thousand years later, we're still telling the same sweet story of the cross. The kind and gentle Savior still invites us to humble ourselves and believe it. Thanks for sharing these thoughts today. This is a beautiful Good Friday post. It reminds me of the disciples' thoughts and words to Jesus the night before: "Surely not I, Lord!" I'm with you--I'd like to think I would have known and believed and not forsaken Him. But the odds are against me. How grateful I am for grace, for the New Covenant, for Jesus. Have a beautiful Easter weekend, friend. 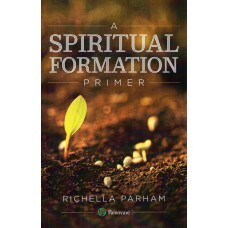 Beautiful post Richella...Have a blessed Easter! Thanks for this! It's something I've never asked myself before - would I have been part of the angry mob if I'd lived back then? I'm thinking I very well could have been and that makes me ponder a few things in my life today. So true how we like to skip the harshness of Good Friday and go straight to Easter - attending services at our church today though will make me all the more joyful on Easter! Wishing you a blessed Easter!